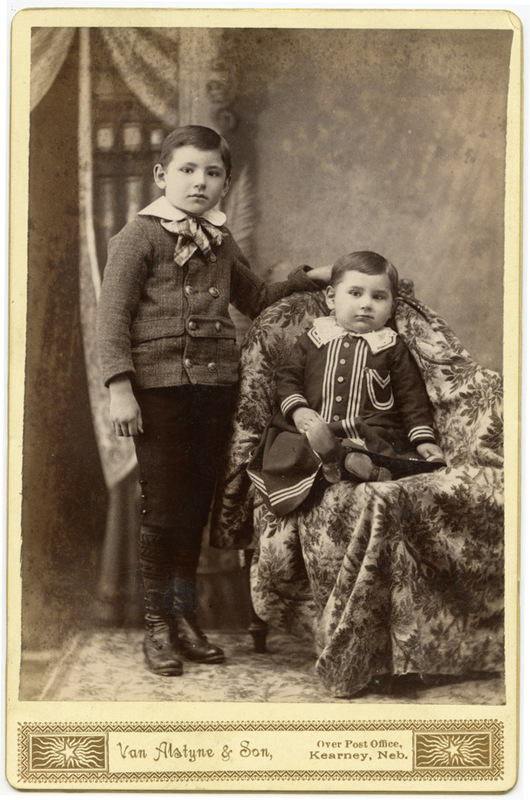 Here’s another cabinet card, this time from Kearney, Nebraska (which I’ve actually been to before, on my cross-country drive from DC to San Francisco). These boys are obviously from a family which had assimilated to Anglo culture. It would be interesting to try and illustrate the divergence between assimilation and resistance through photographs like this. Too bad there’s not a date on the card to help with the process.